The morning of Thursday April 5 was nasty. A big squall of thunderstorms moved its way eastward and the wind was blowing about 20 knots out of the south. We waited out the storms and headed off into bumpy seas. We were at Chub by 6:30 pm and spent the night on the hook. The following day, (Friday) we cleared customs and left the dock. The spread riggers were dropped and the spread was out as soon as we hit blue water. Unfortunately, this "blue" water had a gnarly tint and was more of a dark green. Conditions were pretty terrible with the hard west wind. One boat plucked a blue pretty deep off Rum but otherwise, the radio was quiet. We caught a decent blackfin and 10 or so dolphin. We did a little jigging off the Jolters and caught our share of strawberry grouper. 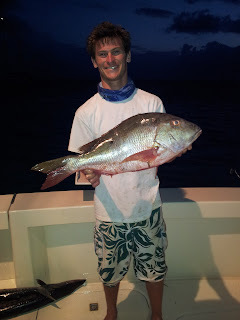 We spent the night in a secret anchorage/mutton spot and got a 12 pounder. 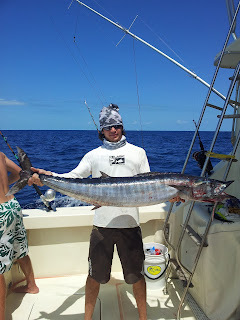 We also pulled on some sharks with barracuda fillet's off balloons. A few reef sharks and a genuinely massive nurse shark made it to the boat. All were released shortly after clipping the leaders. Saturday consisted of an obscene amount of trolling. 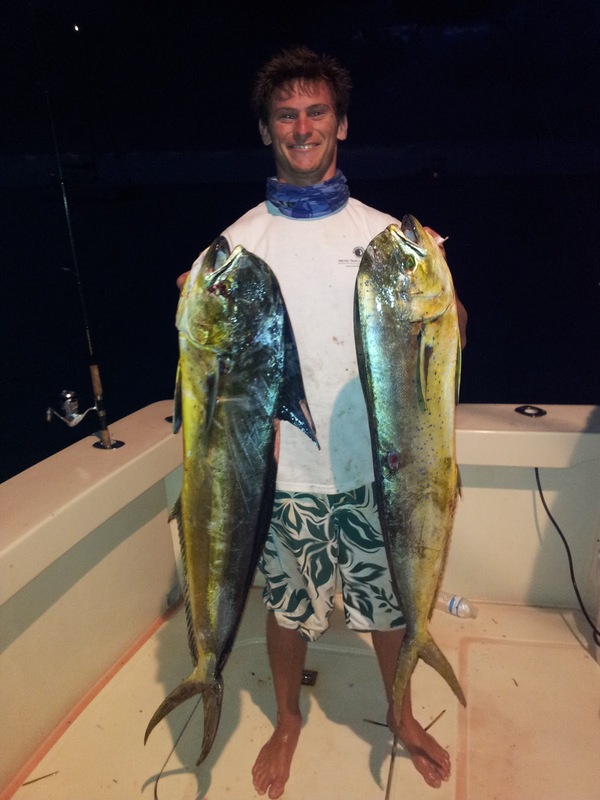 Winds were hard out of the north and the area off the Jolter Cays were the only fishable area. We caught tons of dolphin to 20 pounds and had a few cutoffs from wahoo. 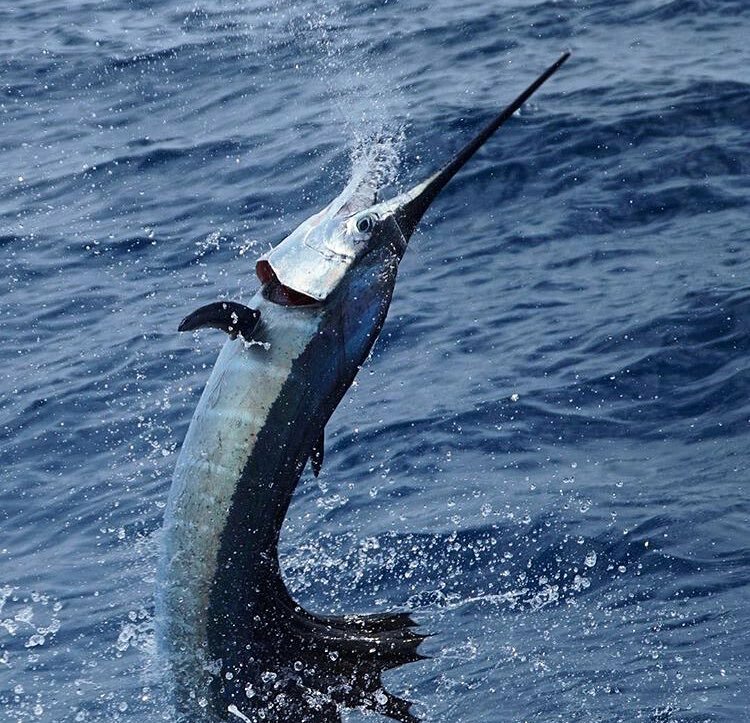 We didn't see one billfish the entire day and still hadn't the entire trip. Sunday we tagged and released a nice sail early on and spent the rest of the day releasing dolphin. Water color slowly improved but the hard North wind prolonged the tough conditions. One boat plucked a blue early off the Jolters and caught another one midday right next to us on the South side of the Pocket. That Afternoon another boat released a nice fish off a weedline near Yellowbar in 1200'. They were about an eighth of a mile in front of us on the weedline and bumped into her first... We were beyond aggravated. 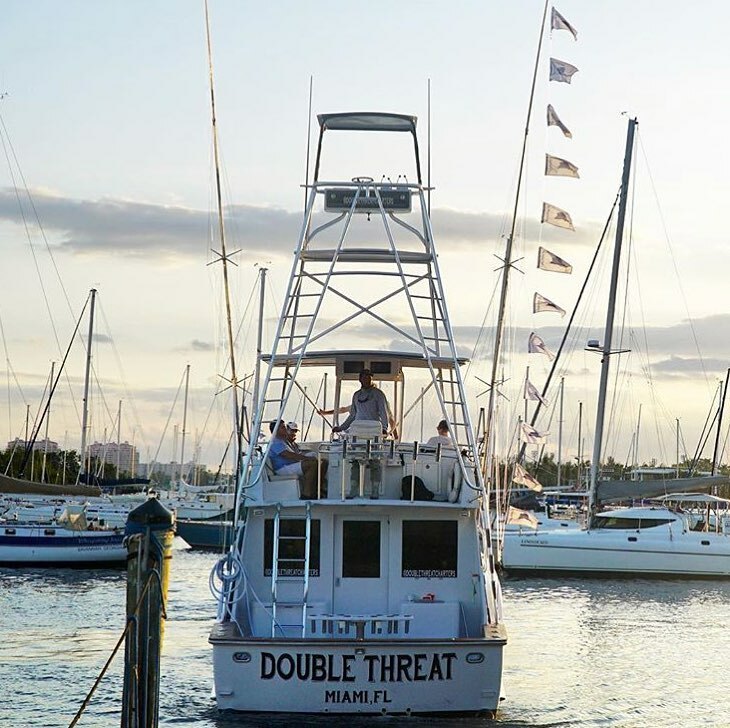 This was the most action of any day during the trip (1 boat caught 2 blues, another boat caught 1 blue) Out of about 8 boats fishing, only 3 marlin were caught on this day... That made 4 total marlin caught by the fleet in the 3 days we had fished so far. Monday we caught a few dolphin early then a nice sail around 1 o'clock. We followed the sail up with a nice wahoo. It was slow other than a few dolphin and cudas for the rest of the day. Another boat MIGHT have caught a blue that afternoon but the report wasn't verified.